Im not sure there is anything cooler in home decor that hand carved lava stone statues. You may have heard mention of our fabulous array of design innovator clients, called such for their unique sense of style and take on our products. One of our design innovator clients is Johnny from Toronto. 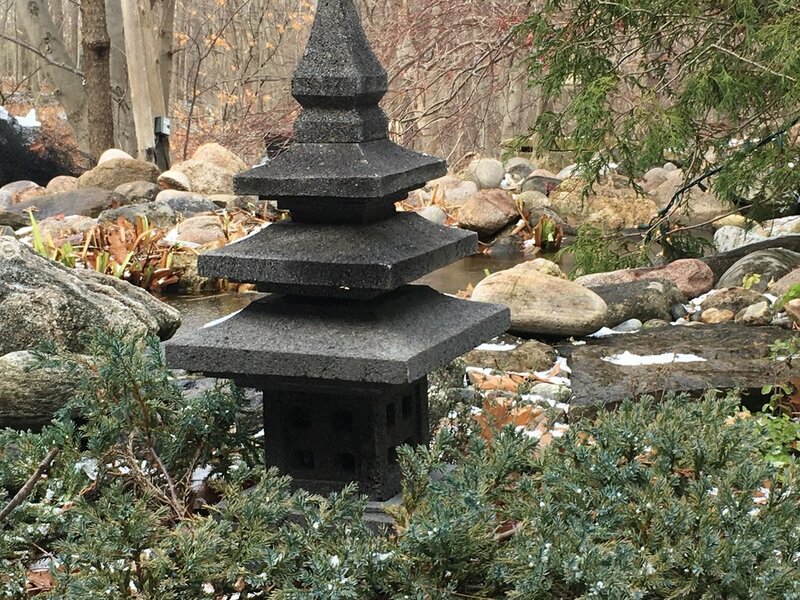 He fell in love with hand carved lava stone statues and sprinkled them throughout his yard. His yard was a beautiful canvas for these works of art but the statues took his yard to a whole new level. His commissioned statues complimented the natural beauty of the space and turned it into a zen garden in a modern urban environment. Thank you Johnny for showing us just how stunning these statues can be once they've found a home.